Vedant has been passionate about food and cooking since he was just 8. He launched India’s first user generated content based online magazine & established a thriving digital media agency before taking the plunge into Food Tech. He graduated in 2006 from Carnegie Mellon University with a degree in Economics and Business Administration. Before becoming an entrepreneur he also worked at UBS. 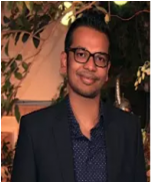 Sanjhi is a digital media expert with more than 7 years of experience of running a marketing agency that handled content marketing and digital advertising for major brands like Pearl Pet, JK Paper and Hyatt Hotels in India. 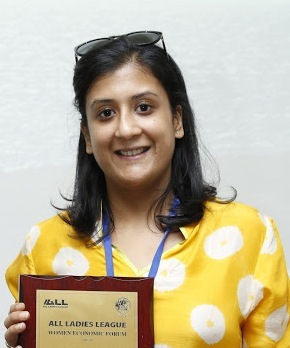 She graduated in 2007 from Lady Shri Ram College for Women, Delhi University with Honours in English Literature. Shamit is a serial entrepreneur with his first venture, Pharros Infotech, a commercial bulletin board service starting in 1994. He also launched sampatti.com, an online real estate directory and database. He also has two other ventures – CSIPL and Scheduled Co. Currently, he heads Synapse India, a preferred IT outsourcing partner for international businesses. He is also the Regional Director of EO-Asia and has been the president of EO-New Delhi in the past.